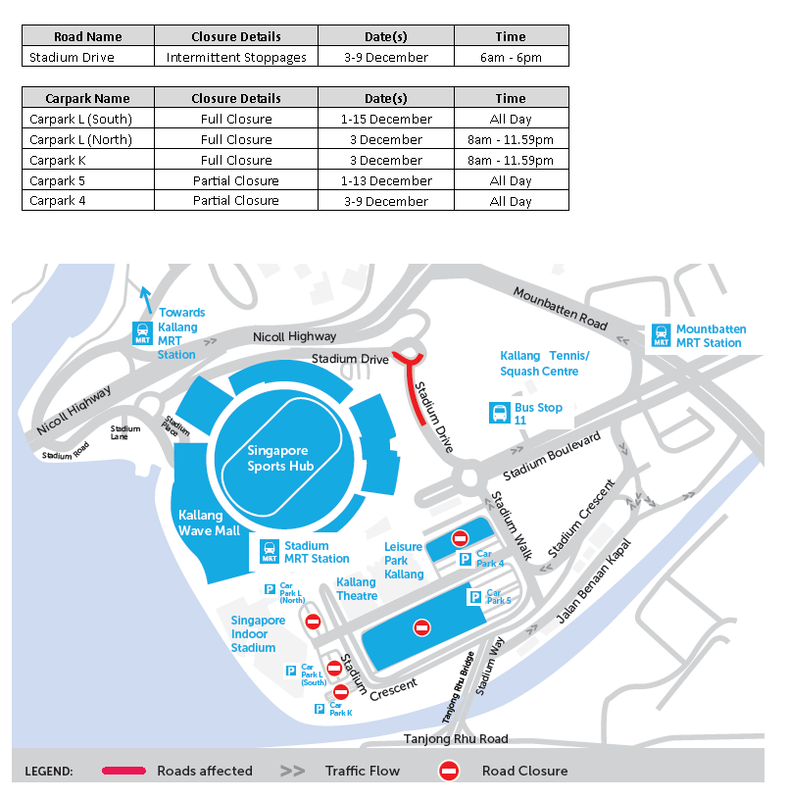 Please note the affected roads and carparks around Sports Hub during this period. Carpark 4 & 5 season carpark holders are advised to park at the open lots and to follow road directions. Do refer to the following websites for latest updates.